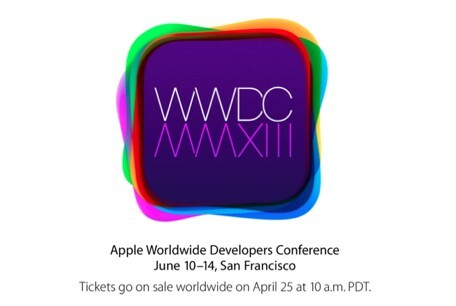 The Worldwide Developers Conference from Apple (WWDC) for the year 2013 is scheduled to be held on June 10th, 2013 in San Francisco and Apple has got lesser plans than it had always for the WWDC event. At the five-day conference, developers from around the world will learn about the future of iOS and OS X®, enabling them to create incredible new apps with innovative features. WWDC will also feature more than 100 technical sessions presented by over 1,000 Apple engineers, hands-on labs to help developers integrate new technologies, as well as the popular Apple Design Awards, a showcase of the most outstanding apps available through the App Store? and Mac® App Store. There would be more than 100 technical sessions held by the engineers working in Apple, and these would cover wide range of topics for the development, deployment and integration of the latest iOS and OS X technologies. There would be more than 1,000 Apple engineers who would support over 100 hands-on labs and events to provide developers with code-level assistance, insight into optimal development techniques and guidance on how they can make the most of iOS and OS X technologies in their apps. The latest innovations, features and capabilities of iOS and OS X would be explained, and it would be shown how to enhance an app’s functionality, performance, quality and design. There would be an opportunity to connect with thousands of fellow iOS and OS X developers from around the world-last year more than 60 countries were represented. Engaging and inspirational lunchtime sessions would be held, with leading minds and influencers from the worlds of technology, science and entertainment. The WWDC 2013 will take place at Moscone West in Sand Francisco, and the marketing head for Apple, Phil Schiller has already shared quite a lot about the event and the connection with the developers through Twitter.